The Flash Season 4 is confirmed. Whoosh! Something just passed by me very quickly. Oh, here it is again. Finally, got a hold of it! This seems to be some notification. What notification could it be? Some good news hopefully. Yes, it’s time for us to feel elated once again. But why? What’s the reason? Well, The Flash season4 is about to come. That seems to be a great news no doubt. So, once again ‘Greg Berlanti’ is about to be a spot in the glam light. He is getting pink. What a blush moment! 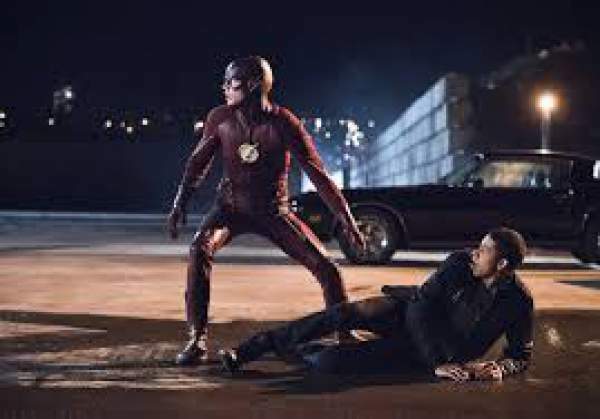 Are you guys ready for the brand new episodes of ‘The Flash’? Some corner of my mind has just gathered pop-corns and waiting for the show. That sounds funny. All in all, we gotta watch some action and drama soon. Let me come up with the wish list of the viewers. Okay, so now you must be waiting to know about the release date and stuff. No doubt, your wait is obvious. When would the series happen? You must be filled up with this question. As stated by CW, The Flash s4 of the flash has got a confirmation for its renewal. It will soon be arriving on October 10th, 2017. So, the Tuesday seems to be booked in advance for the plan. As an alteration in the preparation of the new season, there are a hidden number of roles to be viewed. All the new episodes began to shoot from June 20. I know one of your queries would be- what about the casting team? Well, as got up by the clues we have come to gather some information regarding the casting team and who’s back again in the tale. Firstly, who’s got a confirmation as ‘The Flash’ or you can say, ‘Barry Allen’? News reveals that it would be ‘Grant Gustin’ playing this part. All fans excited? Silly question! Now, what about ‘Irish West’? this part would be performed by ‘Candice Patton’. Dr. Caitlin Snow would be delivered by ‘Danielle Panabaker’. 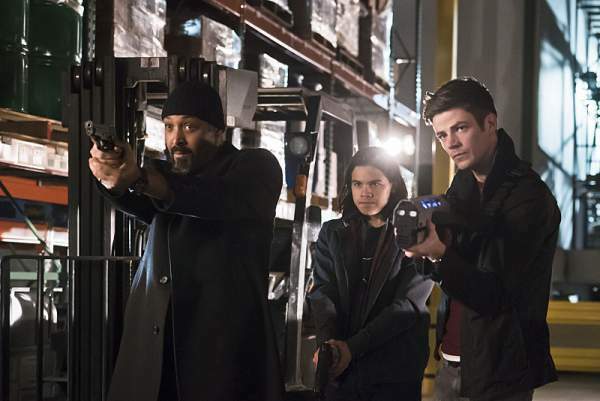 Cisco Ramon/ Vibe (Carlos Valdes), Wally West/ Kid Flash (Keiynan Lonsdale), Detective Joe West (Jesse L. Martin) and Julian Albert (Tom Felton). All these stars have received a confirmed approval by the show for their characters back again in the sequel. How can we forget Tom Cavanagh? Well, resources show that he’s still in the running to be the part of the show. As his role is yet not made clear. We’ll gonna see him definitely in the sequel but as such right now he’s not given any specific character yet. As soon the information gets revealed about his part we’ll take an effort to provide it to the viewers. Else, you can consider this as a mystery yet to be revealed. The narrative is formed from the ‘DC Comics’. The very first time it took emergency it showed a high degree of positive response from the public. This public turned into the viewers of the series. And all these fans are still sitting in hopes to get some more new and advanced action scenes in The Flash 4. Feeling to connect with the sequel with some more information? Okay, let me help you for this. The show will definitely come up with a lot more yet not seen or thought. As the unexpected episodes have just happened in seasons before. The show will make a count of 23 episodes this time. This seems like a full package plan. That calls for a giggle. As far as the plot of season 4 is concerned, it will be filled with a lot of fictional scenes. All new action scenes would just make the series look damn magnifying. This is boosting up my curiosity for the show. Barry will be back this season. The fans of Barry- hold your breath and start thinking about the remarkable acting of Barry. Update: There will be one episode with four way crossover with Legends of Tomorrow, Supergirl, and Arrow. The upcoming season will be lighter in tone. Let’s just give a look at the Villain part of season 4. Which character is gonna sound evil or wicked? ‘The Thinker’, aka Clifford DeVoe. He’s gonna be the rival party of season 4 playing as a main part of the show. Well, this was not so unknowing part. He’s being appeared as four divergent parts in the sequel. Firstly, as I mentioned before, ‘The Thinker’. He was with the belief that he’s good at law matters but he then turned out to be an unsuccessful lawyer. We’ll are aware of the fact that Barry quite sensible enough to solve the issues of threats in his life. This is what everyone is waiting for to see in the show further. With no doubt, we can say that he’s gonna defeat the villains. No place would be left for wicked. Barry would be casting in the new season with the main center of focus. For long, Barry is seen to be a savior of people who fear from meta-humans. Season 4 will be casting on H.R. Wells who donated his life to rescue Ifis in ‘Finish Line’. At the end of season 3, the Speed Force grew unstable due to the death of Savitar and Black Flash. Thus, it needed someone to occupy the Prison. So, our hero (Barry) decided to enter it to save the world as a penance for having created Flashpoint. He left everything for good. 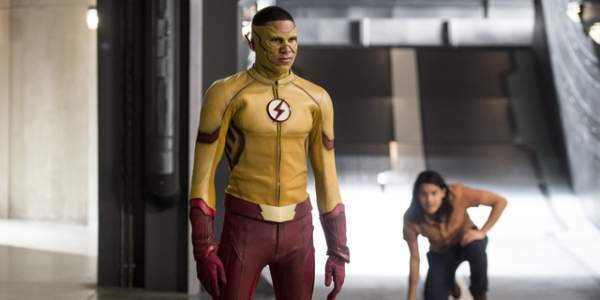 Will now Wa’lly step up to replace Barry as The Flash? Well, it’s not going to happen according to Kelynan Lonsdale as he said that Wally still needs to learn a lot and grow himself and the journey will continue. The first episode of next installment is titled “Reborn” and theories are such that Barry will return. It could be a rebirth storyline from the comic books just like Flashpoint. Here are potential spoilers and predictions. So, take it with a little pinch of salt! Barry returns from the Speed Force under mysterious circumstances and he feels that he was not supposed to come back. He feels that the Force is still trying to call / draw him back in. It probably turns him into the new Black Flash. He re-enters the Speed Force to spare his family and friends. Then, he gets to learn the reason of the transformation. It’s because a resurrected Eobard Thawne / Reverse Flash infected him with a ‘negative Speed Force’. At the end of S3, The Flash (tv show) had lost a Black Flash as Killer Frost had killed him. Reverse Flash was also dead as Black Flash had already taken him down in the Legends of Tomorrow season 2. One thing is sure that there will be one episode featuring a 4-way crossover with the sister series – Arrow, Supergirl, and Legends of Tomorrow. For more updates, stay tuned to The Reporter Times!